In order to perform its many functions, the skin and its appendages (hair and nails), require a lush supply of nutrients obtained from our diet. The skin provides critical protection from infection, external trauma, and ultraviolet damage from the sun; it produces Vitamin D and also helps to maintain moisture and temperature regulation. Many elements modulate the skin’s functions, structural integrity, and regenerative potential, including genetics, sun exposure, environmental toxins, underlying disease, drug abuse, medications, changes in hormone levels, and diet, just to name a few. Additionally, the skin contains thousands of microorganisms that ideally live in delicate harmony in and on the skin, which we call a microbiome. In order to optimally execute its many functions, the skin must have all the necessary vitamin co-factors, either produced by the skin itself or through our diets. Our bodies have exquisite mechanisms in place to supply some nutrients, such as Vitamin D. On the other hand, some key vitamins can only be provided by foods and/or supplements. The role of vitamins in maintaining skin health has been widely studied, and a diet poor in vitamins can lead to dysfunction in the hair, skin, and nails. 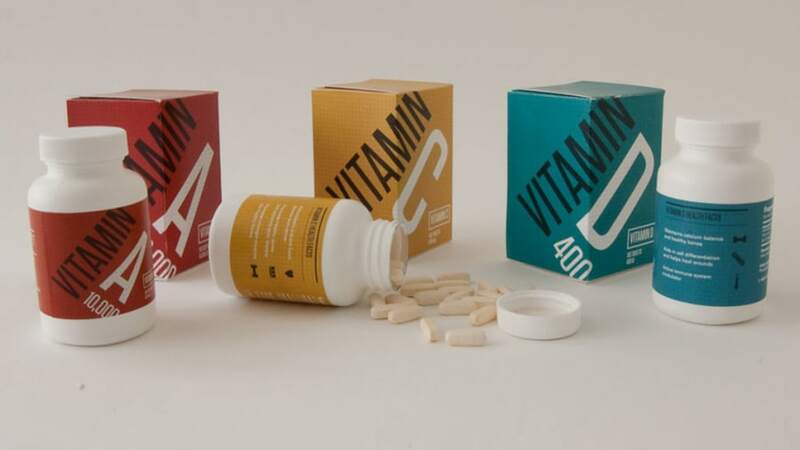 Vitamins can either be fat-soluble (Vitamins A, D, E, K) or water-soluble (Vitamins B and C). See the table below for some (but not all) of the food sources from which you can obtain each vitamin. Vitamin A is required for skin cells (keratinocytes) to properly divide, differentiate, and mature. Chemical categories similar to Vitamin A include retinoids and carotenoids. [3,4] Retinoids come mostly from animal food sources, while carotenoids can be obtained from plants. In order for plant sources of Vitamin A (such as β-carotene) to be active in the skin, it must be converted to the retinoid form. Vitamin A deficiency has been associated with skin conditions, including poor wound healing[6,7] and atopic dermatitis. The oral medication, isotretinoin, is a Vitamin A derivative used to treat severe, resistant acne. Vitamin C possesses powerful antioxidant activity in its ability to neutralize harmful free radicals that can damage cells. It may even alleviate damage to the skin caused by the sun’s ultraviolet rays. [10,11] Vitamin C is an important co-factor in collagen synthesis, thereby having a critical role in wound healing. In a study of human skin, ingested vitamin C helped with skin hydration. Vitamin C deficiency leads to a systemic disorder called scurvy, which manifests as easy bleeding and poor wound healing. Vitamin E is a potent antioxidant. In fact, studies have shown its ability to help alleviate sun damage in skin, decrease skin cancer risk, and reduce signs of photoaging. Ingested vitamin E may also serve a role as an anti-inflammatory agent in skin. 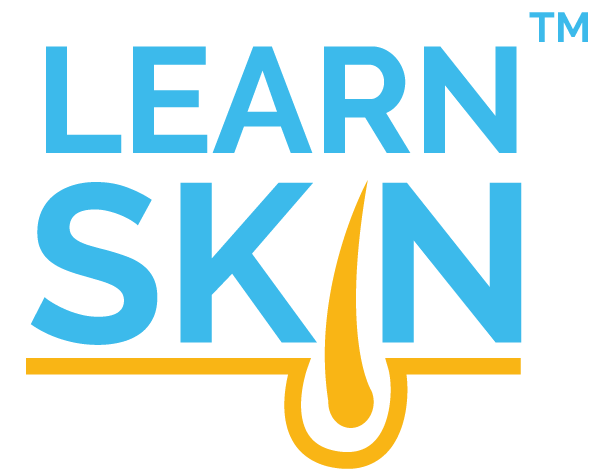 In animal models, vitamin E deficiencies led to skin ulcerations and poorly formed collagen. B Vitamins include Vitamin B1 (thiamine), B2 (Riboflavin), B3 (Niacin), B5 (Pantothenic Acid), B6 (Pyridoxine), B7 (Biotin), folic acid, and B12 (Cobalamin). Niacin deficiency is classically associated with Pellagra, which is a syndrome of a red skin rash in sun-exposed areas, hair loss, and neurological symptoms. Vitamin B12 deficiency is associated with skin darkening or hyperpigmentation. Other cutaneous manifestations of B12 deficiency are angular stomatitis (inflammation of the corners of the mouth) and vitiligo. B vitamins can be found in a large variety of meats, grains, beans, and nuts. However, Vitamin B12 is only in animal products, which can put strict vegans at risk for deficiency. Vitamin K plays an essential role in blood clotting, helping the body to heal wounds and bruises. There have been reports that women in Japan who eat fermented natto (rich in Vitamin K2) have fewer wrinkles than age-matched North American women. Further research is needed to know what role Vitamin K plays in wrinkles. 1. Elias PM. The skin barrier as an innate immune element. Semin Immunopathol.2007;29(1):3-14; PMID: 17621950. 2. van der Meulen TA, Harmsen HJ, Bootsma H, et al. The microbiome systemic diseases connection. Oral Dis.2016;10.1111/odi.12472PMID: 26953630. 3. Elias PM, Fritsch PO, Lampe M, et al. Retinoid effects on epidermal structure, differentiation, and permeability. Lab Invest.1981;44(6):531-540; PMID: 6939940. 4. Goodman DS. Vitamin A and retinoids in health and disease. N Engl J Med.1984;310(16):1023-1031; PMID: 6369133. 5. Johnson EJ. The role of carotenoids in human health. Nutr Clin Care.2002;5(2):56-65; PMID: 12134711. 6. MacKay D, Miller AL. Nutritional support for wound healing. Altern Med Rev.2003;8(4):359-377; PMID: 14653765. 7. Hunt TK. Vitamin A and wound healing. J Am Acad Dermatol.1986;15(4 Pt 2):817-821; PMID: 3534019. 8. Mihaly J, Gamlieli A, Worm M, et al. Decreased retinoid concentration and retinoid signalling pathways in human atopic dermatitis. Exp Dermatol.2011;20(4):326-330; PMID: 21410762. 9. Verfaille CJ, Borgers M, van Steensel MA. Retinoic acid metabolism blocking agents (RAMBAs): a new paradigm in the treatment of hyperkeratotic disorders. J Dtsch Dermatol Ges.2008;6(5):355-364; PMID: 17941881. 10. McArdle F, Rhodes LE, Parslew R, et al. UVR-induced oxidative stress in human skin in vivo: effects of oral vitamin C supplementation. Free Radic Biol Med.2002;33(10):1355-1362; PMID: 12419467. 11. Stewart MS, Cameron GS, Pence BC. Antioxidant nutrients protect against UVB-induced oxidative damage to DNA of mouse keratinocytes in culture. J Invest Dermatol.1996;106(5):1086-1089; PMID: 8618044. 12. Peterkofsky B. Ascorbate requirement for hydroxylation and secretion of procollagen: relationship to inhibition of collagen synthesis in scurvy. Am J Clin Nutr.1991;54(6 Suppl):1135s-1140s; PMID: 1720597. 13. Campos PM, Goncalves GM, Gaspar LR. In vitro antioxidant activity and in vivo efficacy of topical formulations containing vitamin C and its derivatives studied by non-invasive methods. Skin Res Technol.2008;14(3):376-380; PMID: 19159387. 14. Ross R, Benditt EP. Wound healing and collagen formation. II. Fine structure in experimental scurvy. J Cell Biol.1962;12:533-551; PMID: 14494203. 15. Ross A, Taylor C, Yaktine A, et al. Dietary Reference Intakes for Calcium and Vitamin D. Washington (DC): National Academies Press; 2011. 16. Gombart AF, Borregaard N, Koeffler HP. Human cathelicidin antimicrobial peptide (CAMP) gene is a direct target of the vitamin D receptor and is strongly up-regulated in myeloid cells by 1,25-dihydroxyvitamin D3. Faseb j.2005;19(9):1067-1077; PMID: 15985530. 17. Bikle DD, Chang S, Crumrine D, et al. 25 Hydroxyvitamin D 1 alpha-hydroxylase is required for optimal epidermal differentiation and permeability barrier homeostasis. J Invest Dermatol.2004;122(4):984-992; PMID: 15102089. 18. Koczulla R, von Degenfeld G, Kupatt C, et al. An angiogenic role for the human peptide antibiotic LL-37/hCAP-18. J Clin Invest.2003;111(11):1665-1672; PMID: 12782669. 19. WebMD. Vitamin D Deficiency. 2016; http://www.webmd.com/diet/guide/vitamin-d-deficiency - 1. Accessed August 16, 2016. 20. Mesquita Kde C, Igreja AC, Costa IM. Atopic dermatitis and vitamin D: facts and controversies. An Bras Dermatol.2013;88(6):945-953; PMID: 24474104. 21. Peroni DG, Piacentini GL, Cametti E, et al. Correlation between serum 25-hydroxyvitamin D levels and severity of atopic dermatitis in children. Br J Dermatol.2011;164(5):1078-1082; PMID: 21087229. 22. Lopez-Torres M, Thiele JJ, Shindo Y, et al. Topical application of alpha-tocopherol modulates the antioxidant network and diminishes ultraviolet-induced oxidative damage in murine skin. Br J Dermatol.1998;138(2):207-215; PMID: 9602862. 23. Burke KE, Clive J, Combs GF, Jr., et al. Effects of topical and oral vitamin E on pigmentation and skin cancer induced by ultraviolet irradiation in Skh:2 hairless mice. Nutr Cancer.2000;38(1):87-97; PMID: 11341050. 24. Bissett DL, Chatterjee R, Hannon DP. Photoprotective effect of superoxide-scavenging antioxidants against ultraviolet radiation-induced chronic skin damage in the hairless mouse. Photodermatol Photoimmunol Photomed.1990;7(2):56-62; PMID: 2169296. 25. Wu S, Gao J, Dinh QT, et al. IL-8 production and AP-1 transactivation induced by UVA in human keratinocytes: roles of D-alpha-tocopherol. Mol Immunol.2008;45(8):2288-2296; PMID: 18206243. 26. Machlin LJ, Filipski R, Nelson J, et al. Effects of a prolonged vitamin E deficiency in the rat. J Nutr.1977;107(7):1200-1208; PMID: 874563. 27. Igarashi A, Uzuka M, Nakajima K. The effects of vitamin E deficiency on rat skin. Br J Dermatol.1989;121(1):43-49; PMID: 2757955. 28. Barthelemy H, Chouvet B, Cambazard F. Skin and mucosal manifestations in vitamin deficiency. J Am Acad Dermatol.1986;15(6):1263-1274; PMID: 2948974. 29. Niiyama S, Mukai H. Reversible cutaneous hyperpigmentation and nails with white hair due to vitamin B12 deficiency. Eur J Dermatol.2007;17(6):551-552; PMID: 17951150. 30. Kannan R, Ng MJ. Cutaneous lesions and vitamin B12 deficiency: an often-forgotten link. Can Fam Physician.2008;54(4):529-532; PMID: 18413300. 31. Greger M. Vitamin B12. nutritionfacts.org 2016; http://nutritionfacts.org/topics/vitamin-b12/. Accessed August 16, 2016. 32. Rheaume-Bleue K. Vitamin K2 and the Calcium Paradox. 2012. 33. Functions and Food Sources of Some Common Vitamins. Dietitians of Canada 2013; http://www.dietitians.ca/Your-Health/Nutrition-A-Z/Vitamins/Functions-and-Food-Sources-of-Common-Vitamins.aspx. Accessed August 16, 2016.